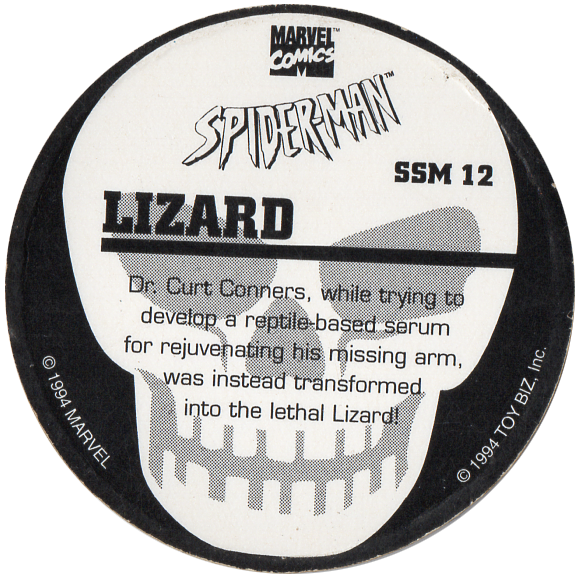 Info:These caps feature characters from the Spiderman series of comics published by Marvel. 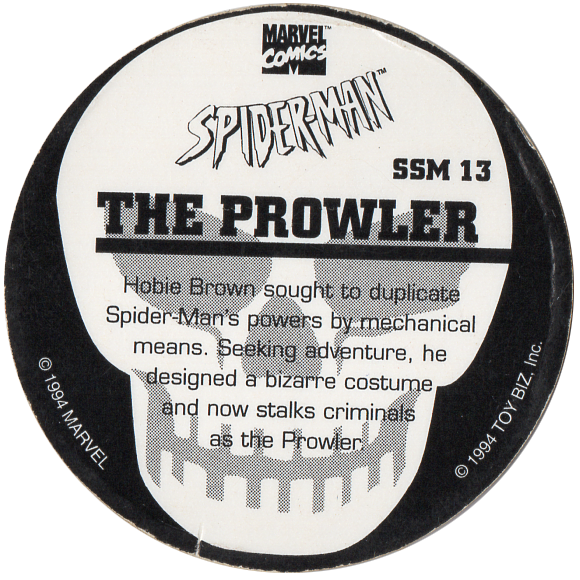 On the back of each cap it has a short description of the character depicted on the front. 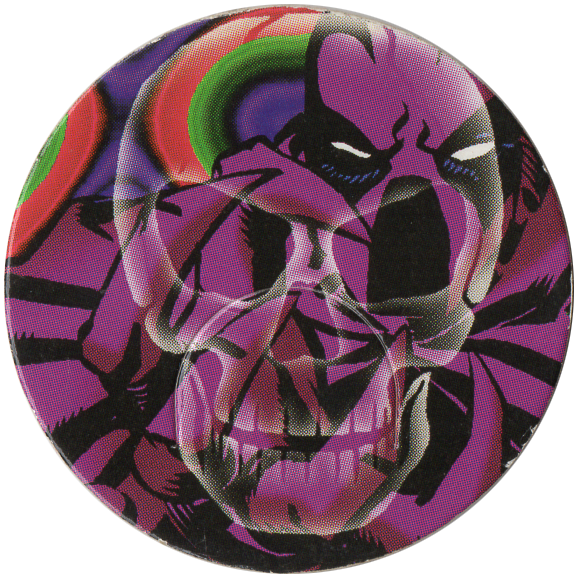 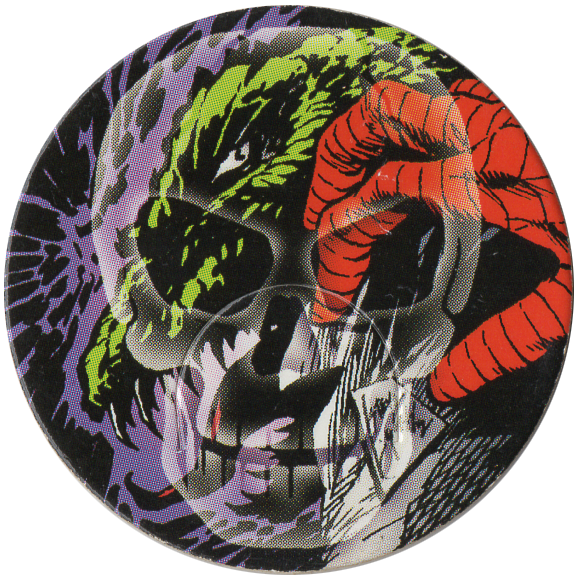 The back of each pog has the text printed over a skull, and there is a skull watermark style overlay on the image on the front of each pog.